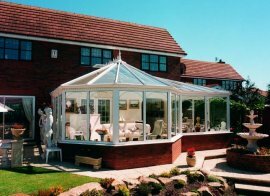 The P-shape conservatory creates a versatile style. This is because the conservatory extends in different directions. 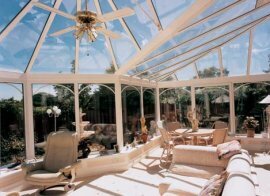 The P-shape conservatory is, therefore, ideal for using as two separate living areas. Modern families often use the longer part of the P-shape style as a lounge or dining area, with the rounded part being used as a children’s play area. P-shaped conservatories often require larger proportions, so are better suited for larger detached properties, giving an impressive result.